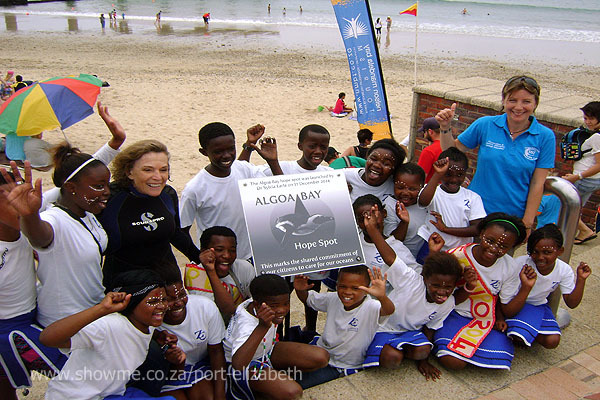 Marine conservationist Dr Sylvia Earle launched the first Hope Spot in South Africa in Algoa Bay recently. The author of South African Coasts: A Celebration of Our Seas and Shores is heading up the Mission Blue Expedition to create marine protected areas across the country. 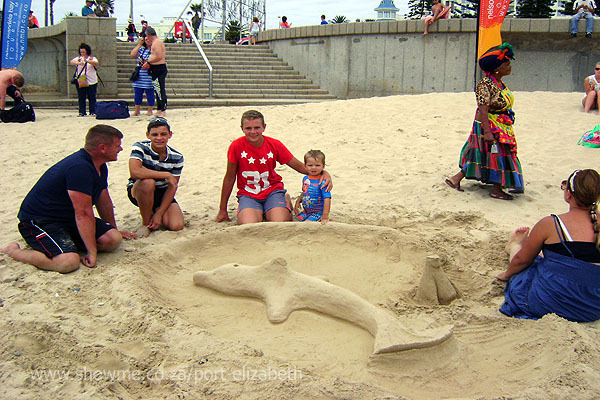 The Nelson Mandela Bay Tourism website reported on the launch of the first of six Hope Spots in the country, which took place in Algoa Bay. The Mission Blue Expedition will also create Hope Spots in Aliwal Shoal, Cape Whale Coast, False Bay, Knysna and Plettenberg Bay. Algoa Bay is not only the home of endangered great white sharks, but also cares for a large amount of sick penguins and other seabirds, according to the article. These Hope Spots will join others scattered around the globe to create a network of global marine protected areas in an aim to save and restore the earth’s oceans – the “blue heart” of our planet. Algoa Bay was chosen for its rich marine biodiversity. Situated at the conjuncture of two major oceanic systems, the warm Agulhas current and the upwelling current of the cold Benguela, the bay provides the ideal conditions for supporting two different ecosystems. The islands in the bay are home to large numbers of marine birds, including more than half the global population of endangered African penguins, the largest breeding colony of Cape gannets on the planet and the rare winter-breeding roseate tern. Algoa Bay is also part of the Addo Elephant National Park, the only place in the world that’s home to the Big 7 – great white shark, southern right whale, lion, elephant, leopard, buffalo and rhinoceros. Raggy Charters shared a few photographs of the event on their website, which kicked off early with a diving expedition. The Hope Spot banner was revealed underwater and the festivities started with a sandcastle competition. The children from Enviro Club performed traditional African music and dance and later that evening Port Elizabeth turned out in its finest for speeches and celebration. Sylvia was presented with our Algoa Bay Hope Spot ‘Sea Pledge’, a code of ethics that we promise to adhere to in our bay in order to keep the hope spot thriving. It included a list of 21 things we can all do for our Hope Spot. There was a short video shown about Algoa Bay and the launch of the Sustainable Seas Trust book South African Coasts: A Celebration of Our Seas and Shores which Sylvia stayed behind to sign copies of. The rest of the evening was filled with enticing conversation, wonderful food, an art exhibition and sales of the book and calendar to start the Algoa Bay Hope Spot trust, which will enable us to carry on educating and conserving the bay!